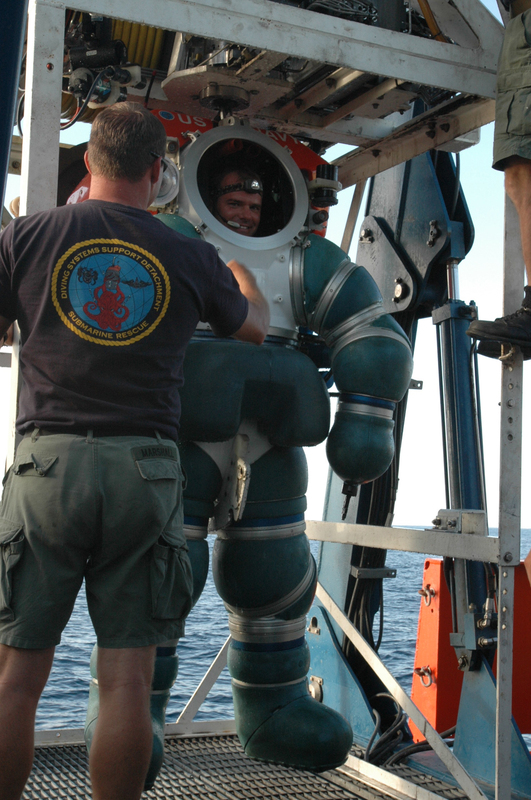 The deepest dive to date in an atmospheric suit was executed by US Chief Navy soldier Daniel P. Jackson. In 2006, he descended to 610 meters / 2000 feet on August 1st, 2006. This dive took place off the coast of La Jolla in California.